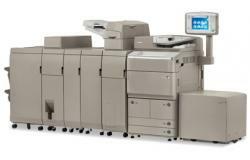 With outstanding speed and efficiency, the imageRUNNER ADVANCE 6055 model meets the needs of large corporate offices and workgroups that demand robust performance. 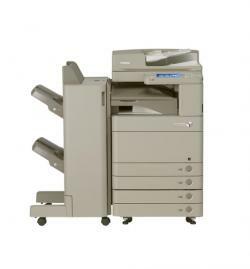 With outstanding speed and efficiency, the imageRUNNER ADVANCE 8105 model meets the needs high volume offices and light production environments. 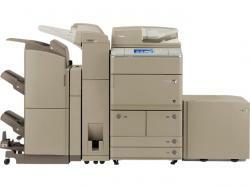 Our large selection of Canon digital copiers. black & white and color copiers (i.e. Canon, Toshiba, Konica Minolta, Ricoh, Kyocera or Sharp), unbeatable low pricing, and exceptional customer service have been the foundation for our success in Chicago but also nation-wide, and we're always looking for the opportunity to add another happy customer to our list. Our refurbished units are carefully selected through the discerning eyes of our authorized purchasing agents. Only machines with low copy meters and high reliability ratings are chosen. The refurbished unit is carefully cleaned and calibrated with a periodic maintenance kit installed. This ensures a problem free and productive experience for you!